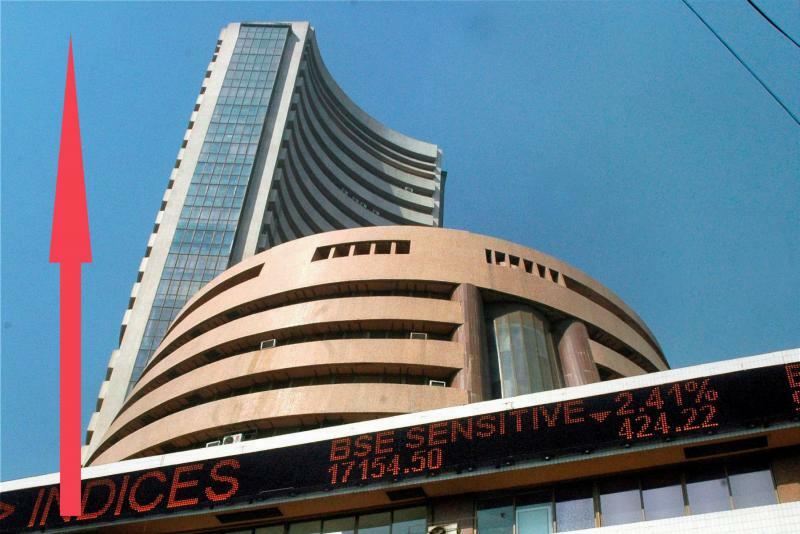 BSE benchmark Sensex jumped over 150 points in early trade Thursday on sustained buying by domestic and foreign institutional investors, ahead of RBI's policy outcome later in the day. The 30-share index was trading 161.53 points, or 0.44 per cent, higher at 37,136.76. Similarly, the 50-share NSE Nifty rose 33.05 points, or 0.30 per cent to 11,095.50. On Wednesday, the Sensex soared 358.42 points, or 0.98 per cent, to close at 36,975.23; and the broader Nifty jumped 128.10 points, or 1.17 per cent, to 11,062.45. According to traders, domestic investors remained bullish tracking sustained inflow from domestic and foreign funds, amid hopes that the RBI may change its policy stance to 'neutral' from 'calibrated tightening' on low inflation footprint, even as a rate cut was ruled out by many experts. The RBI's Monetary Policy Committee (MPC) is scheduled to announce its policy decision later in the day. "Central banks in Asian markets from India to Indonesia are expected to halt interest rate hikes and possibly signal rate cuts as falling inflation and US Fed's decision to put break on tightening interest rate cycle has left enough room for interest rate cuts," said Sunil Sharma, Chief Investment Officer, Sanctum Wealth Management. "Decline in rates will reduce the cost of capital and potentially fuel rally in equity markets," he stated. On a net basis, foreign portfolio investors (FPIs) bought shares worth a net of Rs 694.97 crore Wednesday, and domestic institutional investors (DIIs) were net buyers to the tune of Rs 525.26 crore, provisional data available with BSE showed. In morning session, Sun Pharma, Bajaj Auto, HCL Tech, Tata Motors, M&M, Yes Bank, Maruti and Hero MotoCorp were the top gainers, rising up to 2.64 per cent. On the other hand, Tata Steel, HDFC, Bharti Airtel and Vedanta fell up to 0.51 per cent. Elsewhere in Asia, Japan's Nikkei fell 0.75 per cent, while Korea's Kospi rose 0.35 per cent. Bourses in China were closed for Lunar New Year break. On Wall Street, Dow Jones Industrial Average ended 0.08 per cent lower on Wednesday. The rupee, meanwhile, depreciated 10 paise against US dollar to 71.66. The benchmark Brent crude futures slipped 0.27 per cent to USD 62.52 per barrel. Vidhu Vinod Chopra praises Aamir Khan for "Dangal"